Ulidia Integrated College 2018 Duke of Edinburgh expeditions our students took on the Grassroots Challenge as their aim. We were among 43 centres across Northern Ireland who took on this challenge. Before beginning their expedition students planned activities to survey and map wildlife in both the Mourne Mountains and Antrim Hills. Throughout the expedition students worked as teams to execute these plans and after the expedition they presented their findings to Ulster Wildlife. Ulidia Integrated College were one of four centres shortlisted in the Duke of Edinburgh Grassroots Challenge Best Group category at a formal award ceremony in Craigavon on 23rd November. At the ceremony Ulidia was featured in a presentation of highlights from the 2018 expedition season and of the Grassroots residential that our gold award candidates attended. We were very proud to have been shortlisted alongside such fabulous centres from throughout Northern Ireland, and congratulate the overall winner, Omagh Explorer Scouts. 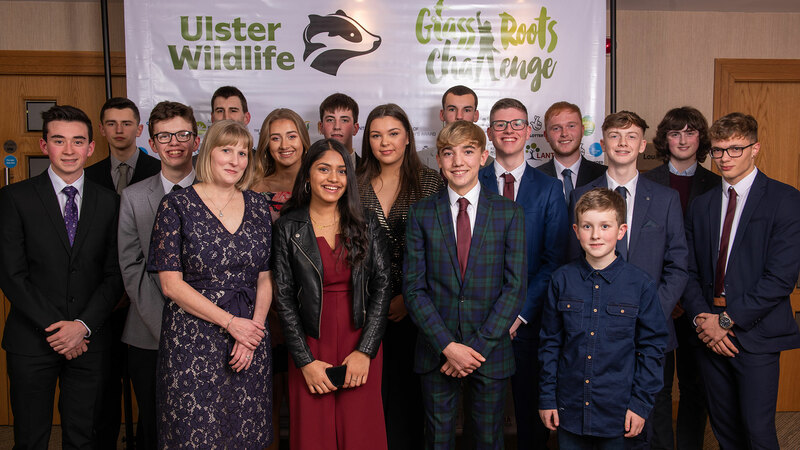 Ulidia Integrated College Duke of Edinburgh group would like to thank Dawn Patterson from Grassroots Challenge for all her help and support to plan and execute our project, and Ulster Wildlife for a very enjoyable evening.